The Hero’s Journey: Joseph Campbell on His Life and Work is based on a documentary of the same name about Joseph Campbell’s life. Editor Phil Cousineau rescued hours of outtakes from film vaults and organized it into the book, which is now available in a new paperback edition. In what amounts to Campbell’s only spiritual autobiography, this beautifully crafted collection of conversations and interviews reveals and illuminates Campbell’s personal and intellectual journey. Behind the man who devoted himself to exploring the mythologies of the world was someone whose life was a deep personal quest for his own immortal hero. 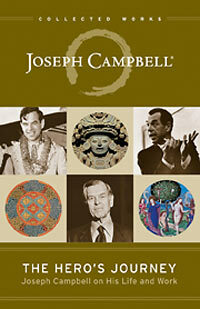 The Hero’s Journey follows the footsteps of Joseph Campbell as he tells stories of his life, his love, and his passion. We hope you'll enjoy this interview with Sam Bennett, author of Get It Done, and invite you to subscribe to New World Library's YouTube Channel for immediate access to the latest author interviews, book trailers, and more. I believe in marriage. This might sound naive, what with half of first marriages ending in divorce and even higher failure rates happening in second and third marriages, respectively. But there is a reason for so many marriage unhappy endings. Huge cultural shifts have occurred in recent decades. These changes have bred new expectations for marriage, which are often unconscious, so that people lack clarity about why they are marrying and what they hope to gain from the union. 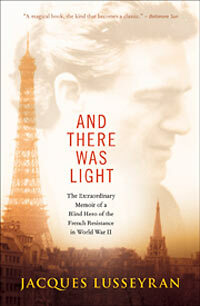 New World Library has just released the formerly out-of-print classic And There Was Light: The Extraordinary Memoir of a Blind Hero of the French Resistance in World War II by Jacques Lusseyran.